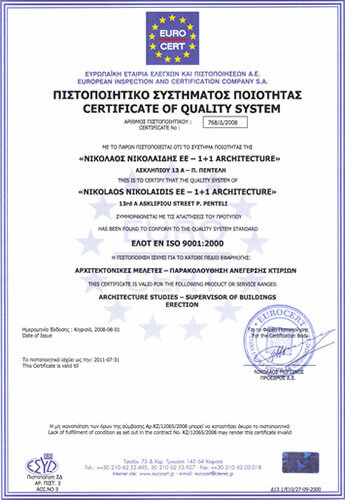 Our company possesses the ISO 9001-2000 Certificate of Quality System. 1+1 Architecture is a dynamic company whose practice expands in the fields of design and building project management. Best use and management of all resources, material and human.